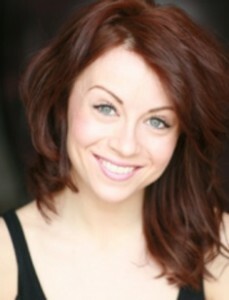 Emma Hatton will take over the role of Elphaba in the London production of WICKED following Jennifer DiNoia‘s previously announced 14 week limited engagement. Ms. Hatton is currently the standby for Elphaba and will take over full time in February 2015. The current cast includes Savannah Stevenson as Glinda, Jeremy Taylor as Fiyero, Martyn Ellis as The Wizard, Liza Sadovy as Madame Morrible, Philip Childs as Doctor Dillamond, Katie Rowley Jones as Nessarose and Sam Lupton as Boq. This entry was posted in Cast Updates and tagged Emma Hatton, Jennifer DiNoia, Jeremy Taylor, Katie Rowley-Jones, Liza Sadovy, Martyn Ellis, Philip Childs, Sam Lupton, Savannah Stevenson. Bookmark the permalink.